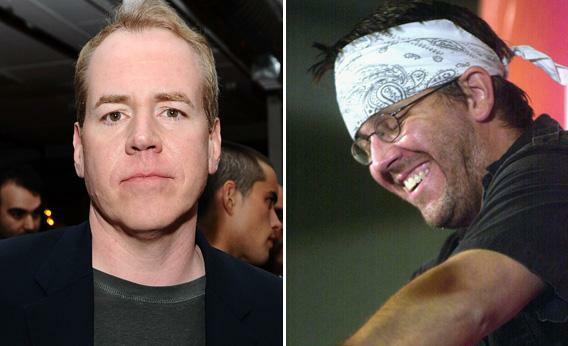 Bret Easton Ellis calls David Foster Wallace a “fraud”: Not the first shots fired in this literary feud. Left: Bret Easton Ellis in 2010. Right: David Foster Wallace in 2002. You can defend “Psycho” as being a sort of performative digest of late-eighties social problems, but it’s no more than that. It’s no wonder then that Ellis, as he’s reading the bio, might be feeling a bit defensive. After all, he still identifies with much the same strategy that the young Wallace of the biography transcends. (In his last tweet before last night’s outburst, Ellis reaffirmed: “The rejection of middlebrow sentimentality is the most furiously important thing an artist can achieve right now in this historical moment.”) While it might be cruel to attack a contemporary who (tragically) can’t defend himself, it’s true that “Saint DFW,” as Ellis sardonically calls him, fired first. Were DFW’s Favorite Books Mostly Thrillers?